Secrets, secrets, and more secrets are one way to explain The Imitation Game. Alan Turing was the man responsible for one of the first computers. Turing unfortunately was not granted the fame and recognition he deserved. His amazing discoveries and mechanical advances were kept as part of a top secret mission during World War II. His story is shared in the film, The Imitation Game. Benedict Cumberbatch and Kiera Knightly star in this World War II biopic doing a wonderful job to capture the over-emotional and high strung situations in The Imitation Game. We first meet Alan Turing in 1951 in Manchester, England. His apartment has been robbed. It’s odd because Turing does not really seem to care. Right then and there we get a sense of his personality. He is off putting, cold, and unwelcoming. The film then rewinds a few years to the beginning of World War II. Turing has been called to participate in a special top-secret mission. The English are attempting to break the Enigma Code. The Enigma Code was an unbreakable code the Germans were using during the war. The task was simple, solve the code and help end the war. The difficult part was this was an unbreakable code. The mission was to be kept top-secret. Keeping things secret was something Turing was used to. He was a closeted homosexual in an era where it was illegal and punishable by law. Although people suspected it, it was kept quiet. A team was assembled to help Turing solve this code. However, he was very reluctant to work with others. The mission was almost abandoned several times due to lack of progression and Turnings lack of compatibility. Turing was dedicated to his craft and even went to seek out Winston Churchill for the approval to build his machine. Slowly, Turing understood the importance of his team and how they could help him crack the code. 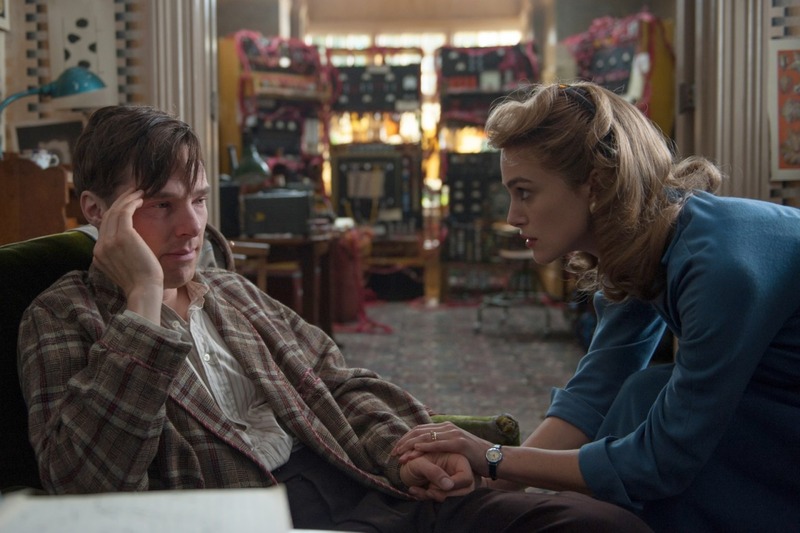 The team, which included a single female cryptographer (played by Keira Knightley) overcame many boundaries. Turing became a team player and after many, many failed attempts they were able to crack the code. If the film ended there it would be the happy-go-lucky film. The unsociable guy learned to work with other people and they were able to reach their goal. Unfortunately that is not the case for The Imitation Game. While the code was now broken, they were still not to tell a soul. If the German’s knew the code was broken, they would just move on to a different system. The broken code still helped to save millions of lives during the war, but the team was unable to bask in their glory. Another slap in the face moment during the film is Turing downfall. Throughout the film, the government was out to get him. During the film several flashbacks to Turing’s childhood are made. We also see his demise that ultimately led to his suicide several years after the war. The war hero never got the recognition he deserved when he was alive. He basically invented the computer, and without him a lot of what we do today would not be possible. What I like most about Cumberbatch’s performance was how emotional he got. Turing was not the average guy. He had trouble being around others, did not read emotions well, and all together is very misunderstood. Cumberbatch was able to portray this perfectly. The emotions are there and the performance shows for it. Cumberbatch was nominated for both a Golden Globe and SAG award. He is also on the short list for an Oscar. All together, The Imitation Game was a great film. It will definitely get a nod for best picture. Whiplash, Boyhood, and Birdman definitely have more edge to makes them more memorable, but The Imitation Game is still one to watch.